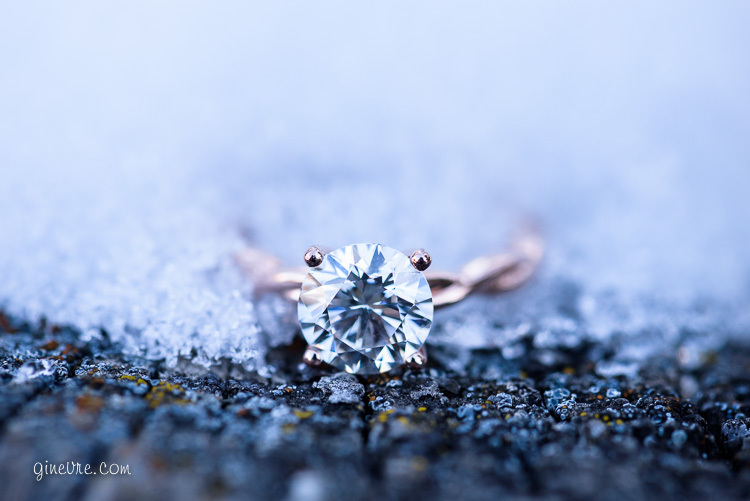 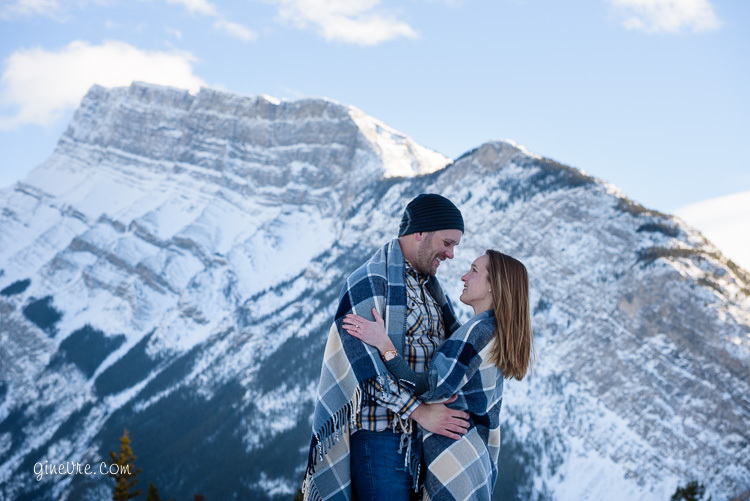 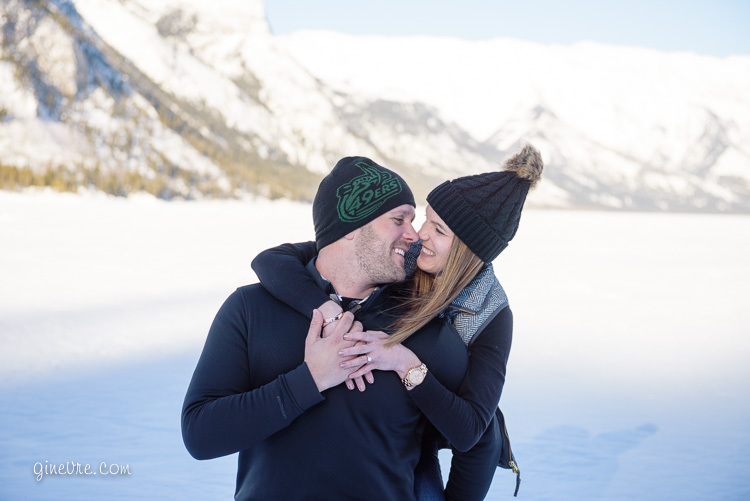 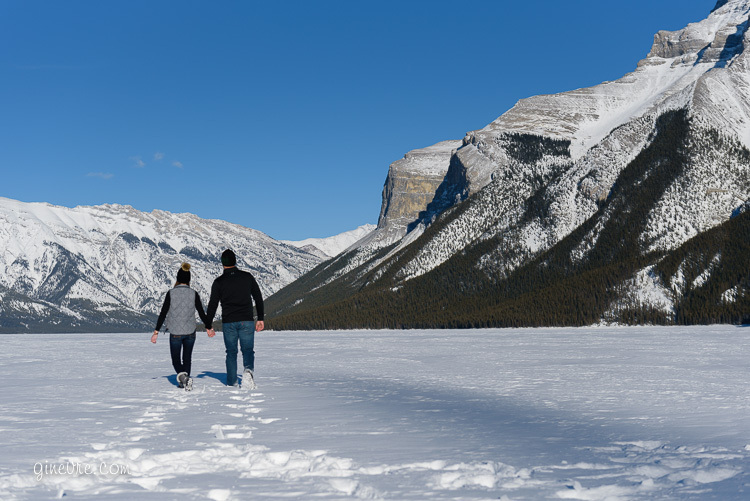 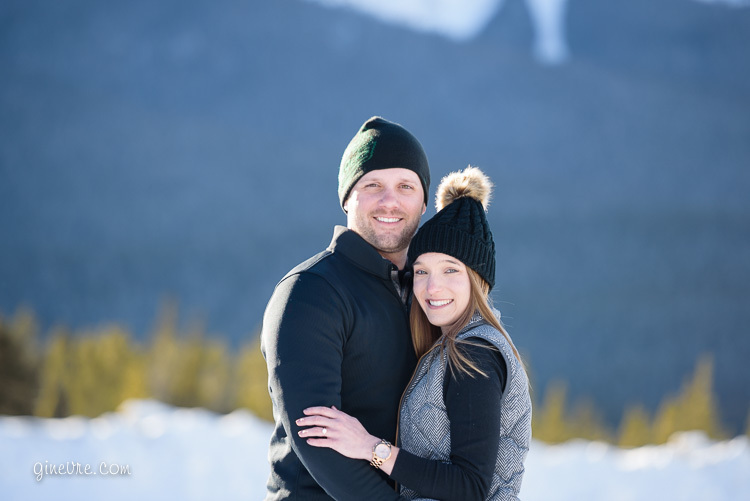 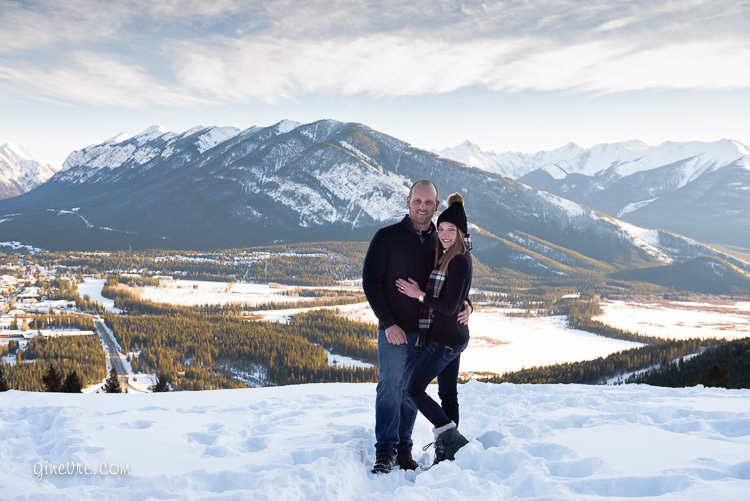 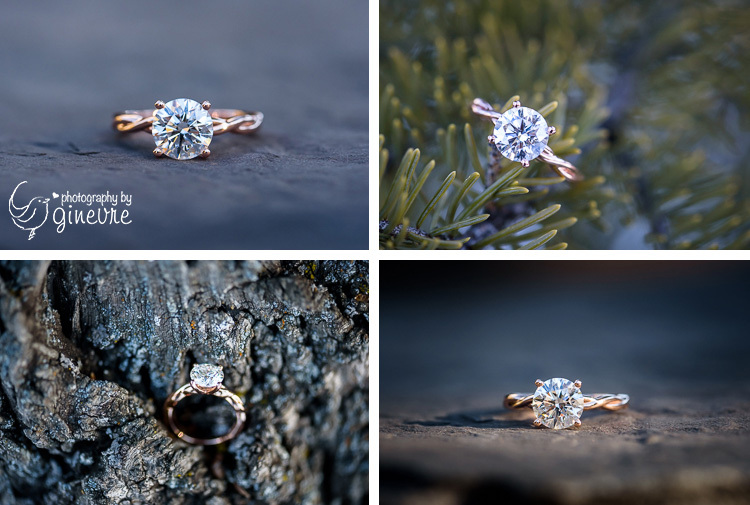 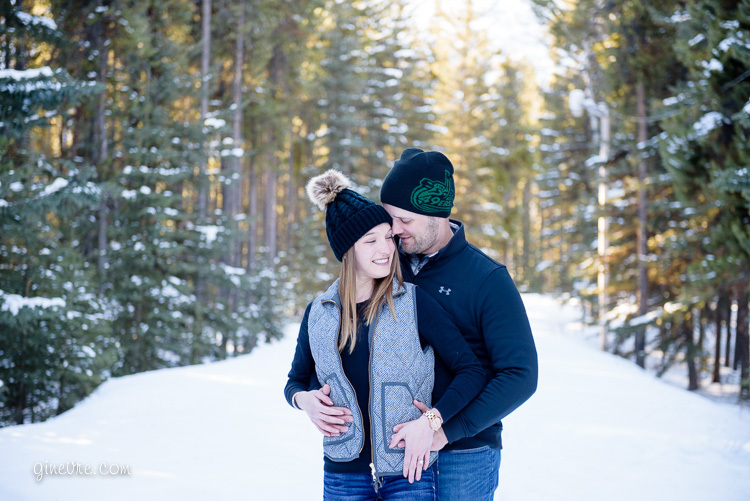 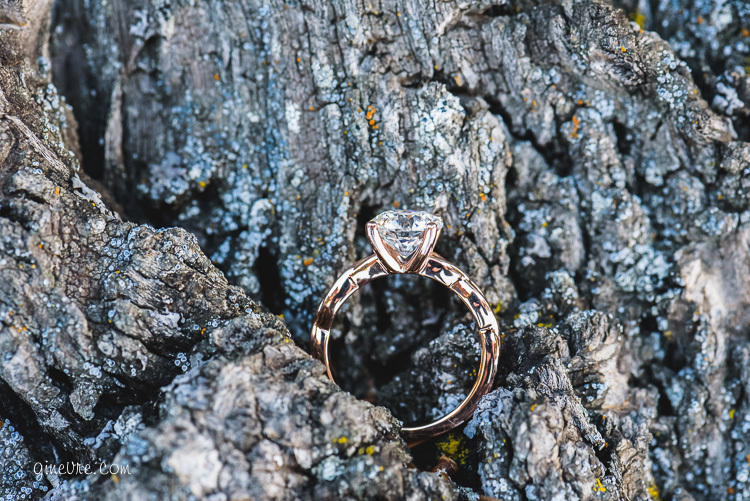 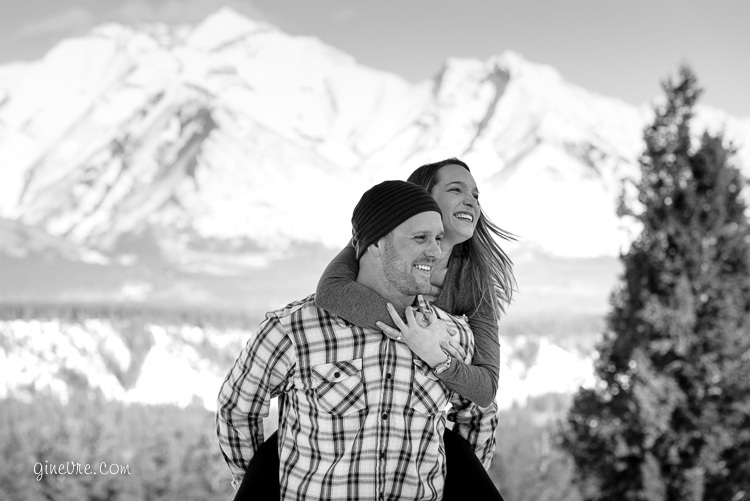 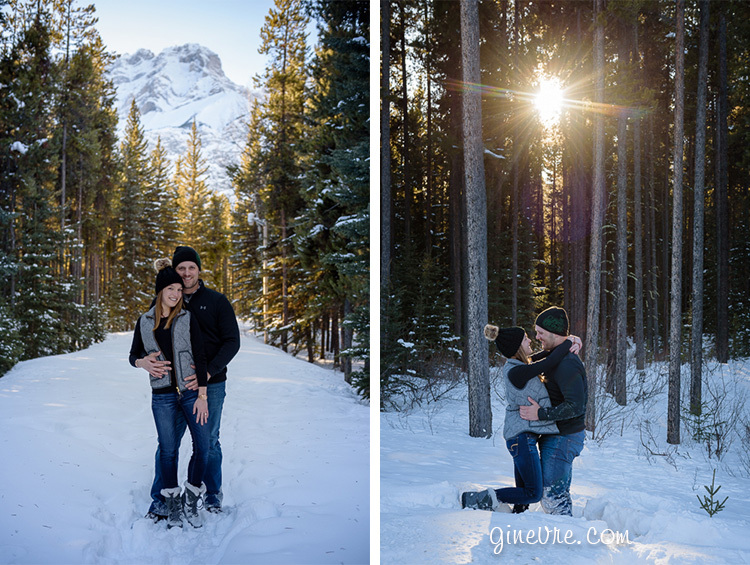 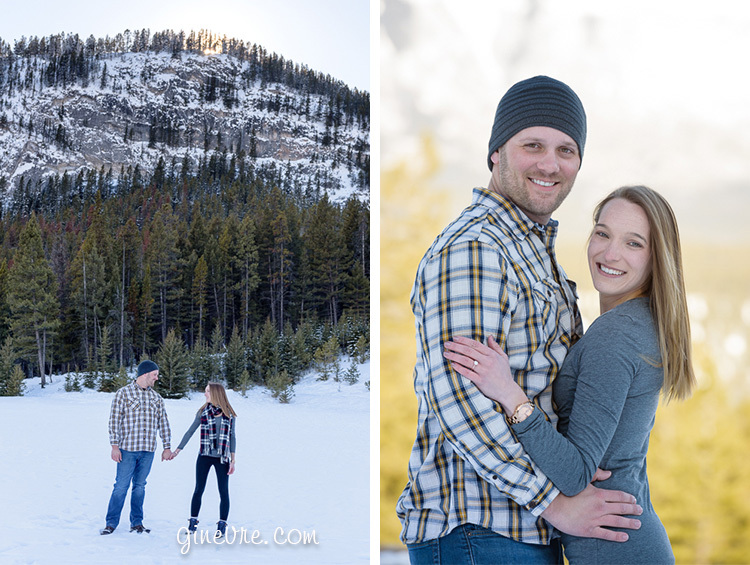 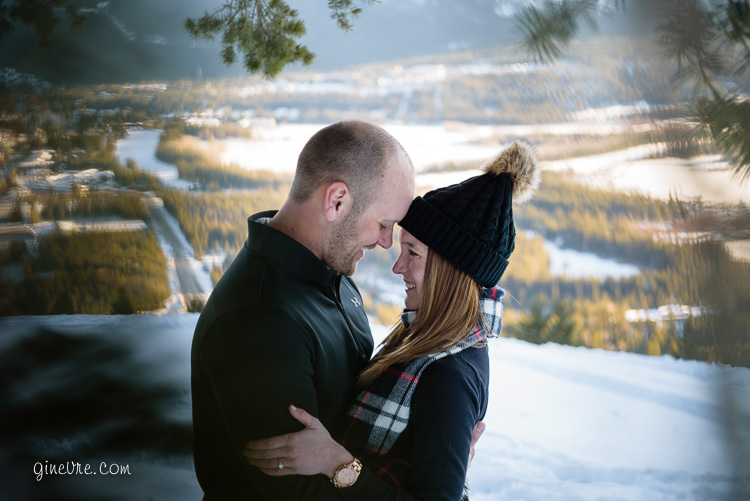 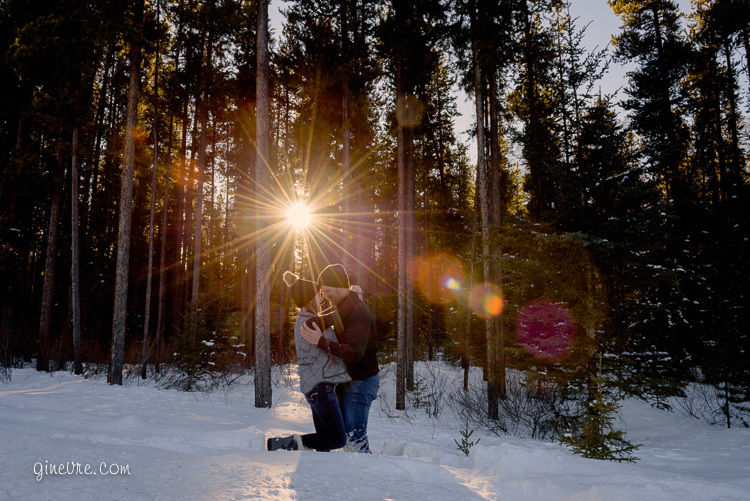 Joe and Kate were visiting the Canadian Rockies from the US, and Joe since popped the question during their visit, they needed engagement photos to celebrate! 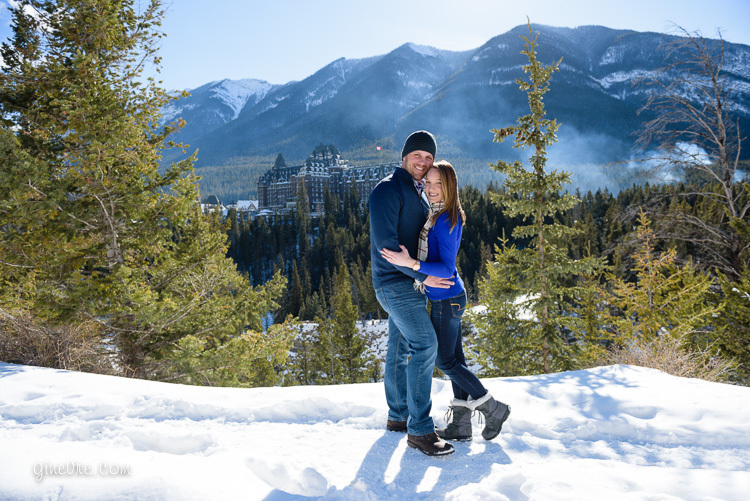 I gave them a little tour around Banff like I always do, choosing both iconic locations and out-of-the-way places. 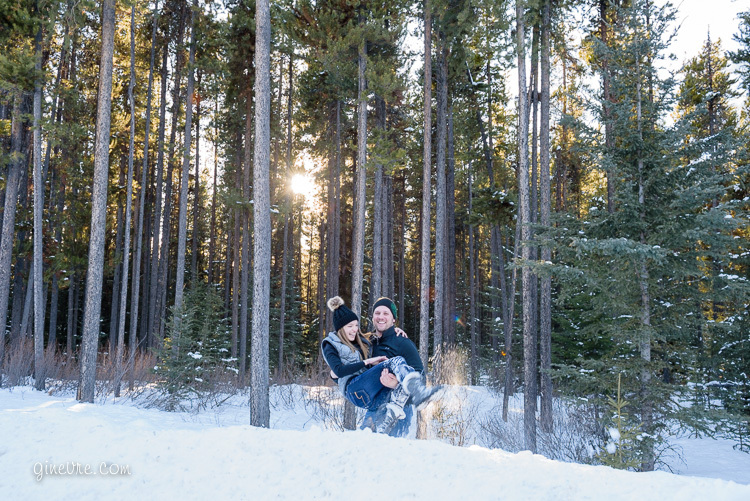 It was quite warm (relatively speaking) which definitely helps make for a relaxing fun session. 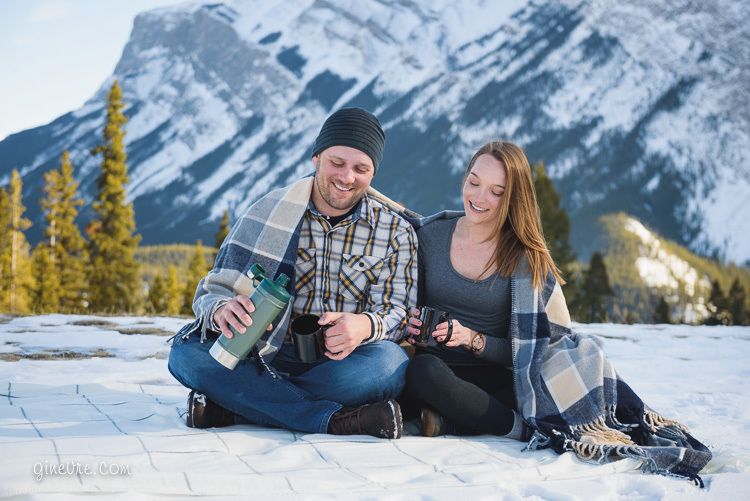 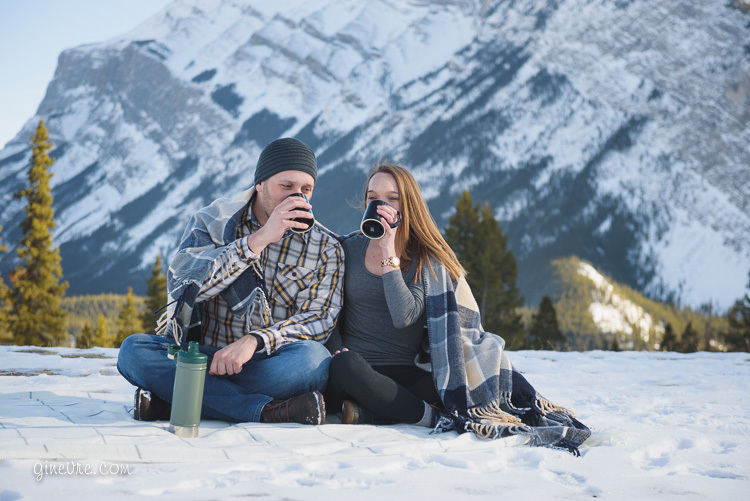 They even brought some great props in the form of a picnic blanket, thermos and cups, because why wouldn’t you want a nice hot cup of coffee sitting in a snowy mountain meadow?